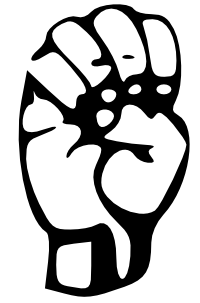 The sign for the letter A in American Sign Language. The sign for the letter B in American Sign Language. 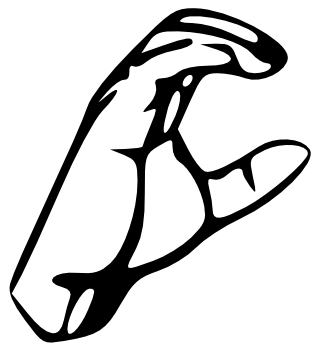 The sign for the letter C in American Sign Language. The sign for the letter D in American Sign Language. 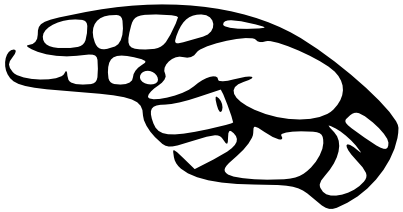 The sign for the letter E in American Sign Language. 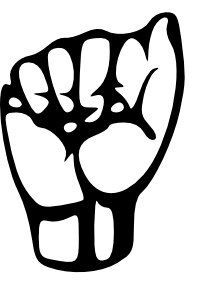 The sign for the letter F in American Sign Language. 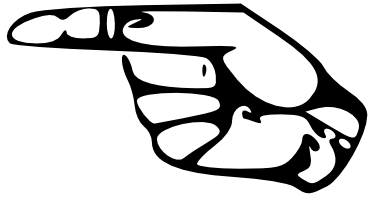 The sign for the letter G in American Sign Language. 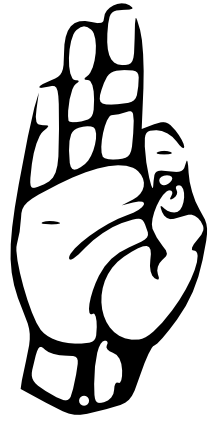 The sign for the letter H in American Sign Language. 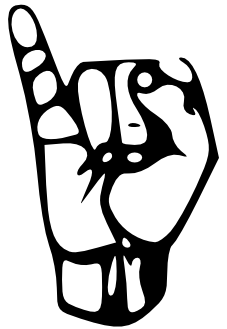 The sign for the letter I in American Sign Language. 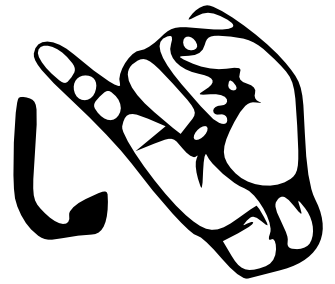 The sign for the letter J in American Sign Language.